Now: Student in the Faculty of architecture, UNAM (Thesis) 2015-2017: Development of hospital projects in architectural firm G2 Forma y Funciรณn. 2016: Development of subway projects in architectural firm G2 Forma y Funciรณn. 2017: Academic exchange in Argentina, Universidad Nacional de Mar del Plata. Buenos Aires. 2018: Social service in the patrimonial collection and geomatic area in Fundaciรณn ICA A. C. Language skills: English, French (B2), Spanish. Why Fontainebleau program? I am excited and hopeful to participate in the Fontainebleau program. This is my last year as a UNAM student and my final chance. My desire is to work with other students from different disciplines in the fine arts, share my ideas and learn about other cultures and customs. Drawing is my passion and I love communicating my ideas through sketches which I believe is one of my most important skills as an architect. Although virtual medias help us to communicate ideas and may be faster, drawing by hand allows me more freedom to better brainstorm and express my ideas. I believe drawing is a language of creative spirits as much the music or dancing. Sketch, paint & me For me, drawing is essential to whom I am. It has always been my passion. It was one of the main reasons why I decided study architecture. Last year I was an associate professor because I love to teach and share ideas. I always carry my pencil and paper. One does not know where or when life's wonders can be captured. 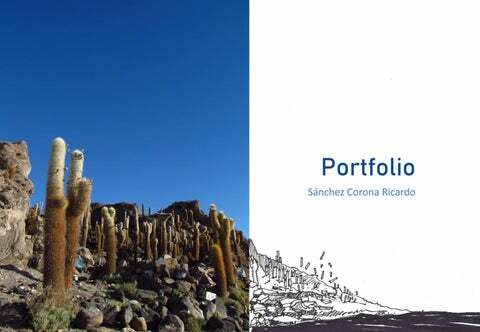 In this portfolio I present some sketches & watercolors that I have made from 2017 to date, as well as graphic ideas that I have made for scholar projects. The techniques are 3: Watercolor, graphite and inks. I've made the sketches on site often in challenging situations. 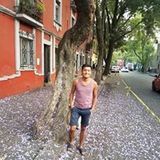 Most are from the buildings and parks of Mexico City, my current place of residence. I also include some work that I did during my studies in South America in 2017 as well as photographs. Multifamily housing. Mexico City. Project for a housing complex in Mexico City. The idea is simple: The creation of three towers that accommodate the population that currently lives on the land and create more green areas and public spaces. The structure is diagrid, to respond to the seismic context in which the city is located. In 2018, the debate on the construction of a new airport in Mexico City (NAICM, for its acronym in Spanish) intensified. One of the many arguments to stop the construction was the damage that was caused to the flora and fauna, especially birds in the old Texcoco Lake. In 2019 officially the work was canceled.